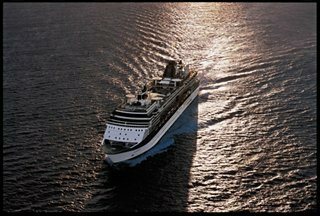 Celebrity Summit® now sails with a new sense of style and excitement. The third in the Millennium Class of ships has been "Solsticized," and she's undergone a dazzling revitalization including the addition of AquaClass® staterooms and the popular restaurant, Blu. She has the hip Celebrity iLoungeSM where you can participate in the iLearn enrichment series or pick up the latest high-tech gadget from the first Apple® Reseller at Sea. Enjoy a memorable dinner at the uniquely unordinary restaurant, Qsine®, with a menu and wine list presented on an iPad®. Finish with a chilled Lychee Martini at the ultra-cool, ice-topped Martini Bar. Not your usual routine? Perfect.